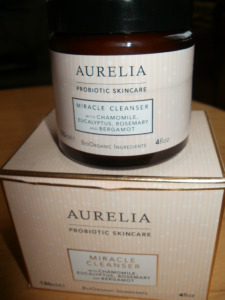 Have you tried this amazing cleanser from Auriela yet? It is pretty darn amazing! Aurelia is a brand I am really getting into. I have bought the face scrub as I found it to be pretty incredible and leaves my skin like velvet. 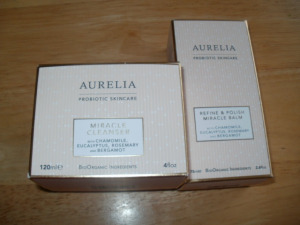 So when I was sent the cleaner to try i have just been blown away by these skincare products. Auriela mixes powerful pro-biotic and peptide technology with BioOrganic plant and flower essences. So these products feel really gentle on the skin yet they are power packed to leave your skin feeling at it’s optimum level of hydration, calmness and softness. I have to say I am totally loving how this cleanser makes my skin feel and look. After using there is a firmness to my skin, my pores are a lot smaller, my skin feels really clean, balanced and nurtured. There is a real calmness to my skin. This entry was posted in Health and Beauty on August 24, 2015 by the40somethingbeautyblogger.